I've recently been exploring printing my photos and illustrations on fabric and fashioning them into products — here are some of the results. I'm currently looking into small production runs for a few of these items and if you're interested in purchasing an item please check out my Etsy Shop and stay tuned for more! My Market Totes are adorned with photos of markets collected during my world travels and are printed on highly durable and colorfast eco canvas fabric. 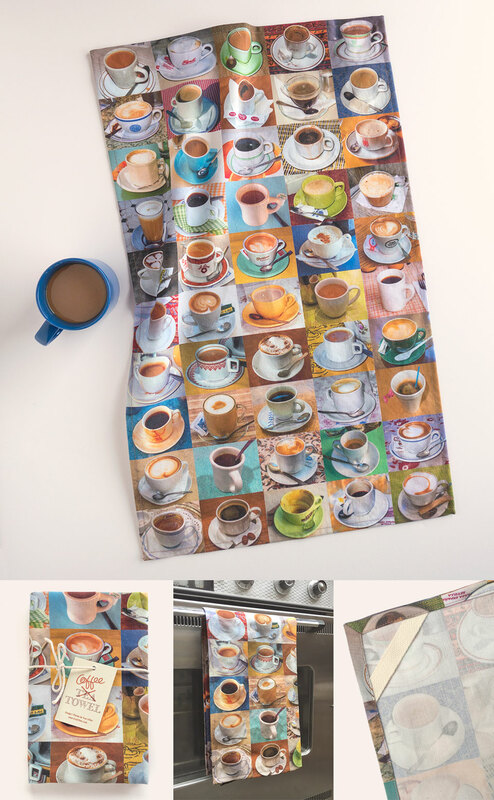 My Coffee Tea Towel features my photographs of cups of coffee from around the world printed on a linen cotton blend fabric. Tickets Scarf is composed of colorful graphic details of train, bus, and subway tickets collected during my over 25 years of traveling the world. I'm a danger in the kitchen so I made myself an apron with photos of skull and crossbones signs from around the world.